There is perhaps no greater need today in the West than for people to be able to distinguish right from wrong. Most folks have altogether lost their moral compasses and are simply roaming aimlessly in an ethical no-man’s land. Moral absolutes have been jettisoned and relativism reigns. This is always a recipe for disaster. And we have seen it occurring throughout human history. There has always been a connection between the abandonment of morality and the abandonment of God. When we declare the nonexistence or the inconsequentiality of God, we lose the basis for moral absolutes. Here he is simply repeating the wisdom of the prophet Isaiah. Two and a half millennia ago he offered this sombre warning: “Woe to those who call evil good and good evil, who put darkness for light and light for darkness, who put bitter for sweet and sweet for bitter” (Isaiah 5:20). Most of the great thinkers since that time have made the connection between God, moral absolutes, and the state of a nation. Numerous quotes could be offered here. Plato for example knew that some objective basis of morality was needed. Science has provided the possibility of liberation for human beings from hard labor, but science itself is not a liberator. It creates means not goals. Man should use [science] for reasonable goals. When the ideals of humanity are war and conquest, those tools become as dangerous as a razor in the hands of a child of three. We must not condemn man’s inventiveness and patient conquest of the forces of nature because they are being used wrongly and disobediently now. The fate of humanity is entirely dependent upon its moral development. Such quotes could be repeated at length. The wisdom of the ages needs to be applied to the modern dilemmas we now find ourselves in. Everyday individuals and high-powered leaders both need to get back to morality, which means getting back to God. The reason I have all this on my mind of late has to do with what I read in my daily Bible reading. This morning the familiar words of Solomon struck me with renewed force. Israel’s King David had died and Solomon was newly established on the throne (1 Kings 1). In 1 Kings 2 we read about him subduing his enemies and securing his kingdom. God then appears to him in a dream and asks him what he would like. Most of you would know how the story goes. Instead of wealth or power or other selfish things, he asked for wisdom so that he might rule his people rightly. At Gibeon the Lord appeared to Solomon during the night in a dream, and God said, “Ask for whatever you want me to give you.” Solomon answered, “You have shown great kindness to your servant, my father David, because he was faithful to you and righteous and upright in heart. You have continued this great kindness to him and have given him a son to sit on his throne this very day. “Now, Lord my God, you have made your servant king in place of my father David. But I am only a little child and do not know how to carry out my duties. Your servant is here among the people you have chosen, a great people, too numerous to count or number. So give your servant a discerning heart to govern your people and to distinguish between right and wrong. For who is able to govern this great people of yours?” The Lord was pleased that Solomon had asked for this. Wow, we sure can use that sort of wisdom today. 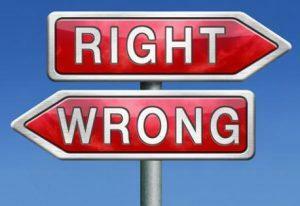 We sure need this sort of moral discernment that can distinguish between good and bad, right and wrong. That is in such short supply today. We all need it, and our political leaders certainly need it as well. But very few seem to have it. 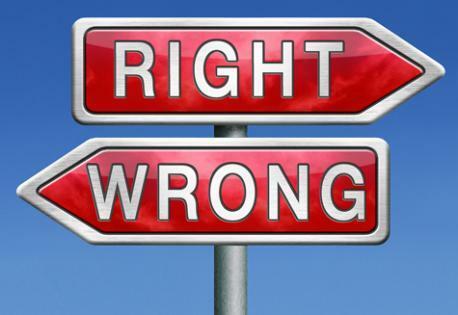 Part of the way to get back to greatness as a people and as a nation is to have the ability to tell the difference between truth and error, between what is right and what is wrong. Would that more people – and more leaders – make the sort of prayer that Solomon did. We sure need it bad right now. Tragically Solomon’s later life was characterised by his abandonment of the LORD in favour of many pagan wives and their gods and goddesses – a catastrophic flight from true wisdom into political and economic entrepreneurial expediences. Amen. God is counting on all His people to be His faithful ambassadors – to be salt and light in the furthering of His Kingdom in His world. I, for one, am eternally grateful for those, years ago, who shared the good news of the Gospel with me! On Sunday we took a risk and visited a Uniting Church for worship, while on our way from Swan Hill to the Blue Mountains. To our joy and surprise there were many things about this parish that are still evangelical and have not sold out to the modern views of cowardice, politics or vanity. The sermon next week will be “The Sin of Tolerance”. How could you not bless that? Great article, Bill, and an excellent selection of quotations. These lines, which have featured in many American sermons and political speeches during the 20th century, are constantly misattributed to the great French historian and social observer, Alexis de Tocqueville (1805-1859). I remember, many years ago, reading Tocqueville’s two-volume Democracy in America [1835-40] in an effort to track down the quotation, but without success. I just had to console myself with having encountered a great classic. The earliest known version of the quotation appeared in the American journal, Herald and Presbyter, September 6, 1922. “I went at your bidding, and passed along their thoroughfares of trade. I ascended their mountains and went down their valleys. I visited their manufactories, their commercial markets, and emporiums of trade. I entered their judicial courts and legislative halls. But I sought everywhere in vain for the secret of their success, until I entered the church. It was there, as I listened to the soul-equalizing and soul-elevating principles of the Gospel of Christ, as they fell from Sabbath to Sabbath upon the masses of the people, that I learned why America was great and free, and why France was a slave.” [Madison Clinton Peters, Empty Pews and Selections from Other Sermons on Timely Topics (Philadelphia: Zeising, 1886), p. 35]. Many thanks for that John. Yes, that’s what it’s all about, moral absolutes. Thanks Bill for another great article. Mt 5 is our blueprint for life.